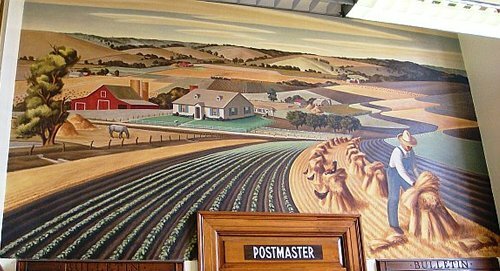 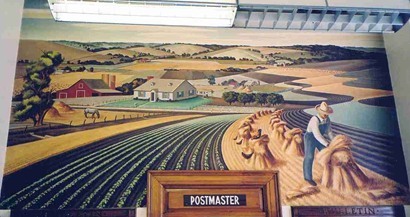 Farmersville Texas Post Office Mural - Soil Conservation in Collin County, by Jerry Bywaters. 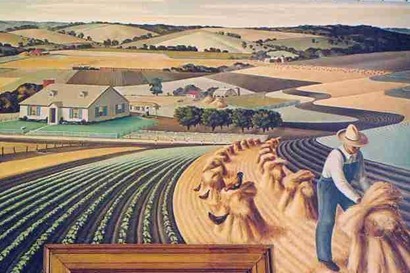 Bywaters' painting "Soil Conservation in Collin County" was a subtle nudge to Texas farmers to adopt contour plowing - a preventitive for one of the major contributors to the "Dust Bowl." 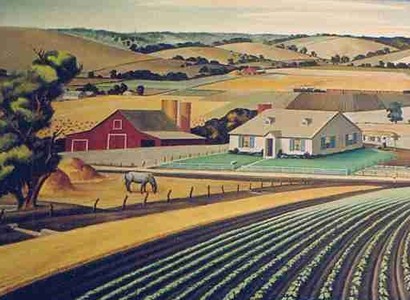 The rural population of Texas was a majority when this painting was made - and by today's standards it could be considered a very artistic "Public Service Announcement."